This is a sponsored conversation written by me on behalf of Tyson, Inc. The opinions and text are all mine. 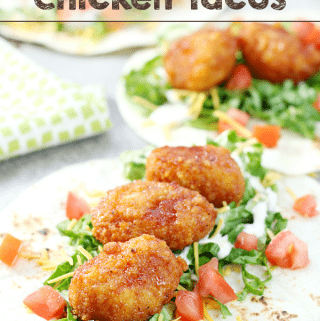 Make these quick and easy Ranch Honey BBQ Chicken Tacos and you will Bring the MVP (Most Valuable Platter) on game day! 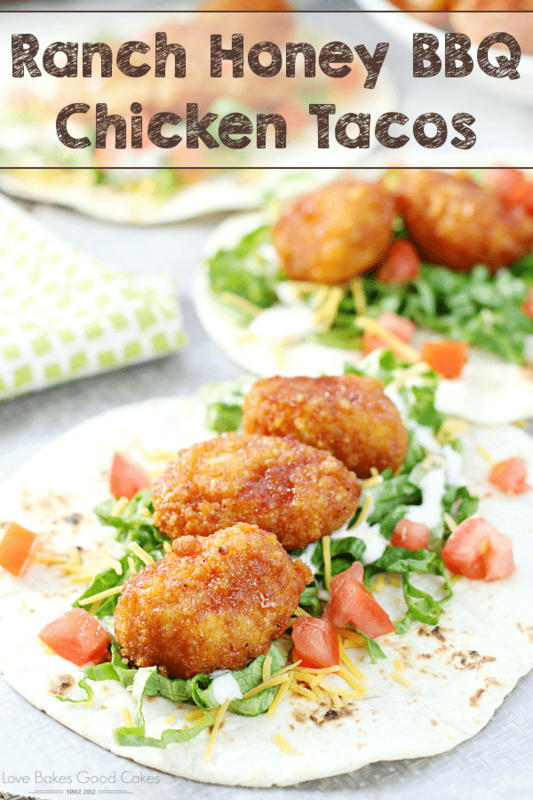 Makes a great lunch or dinner idea, too! Are you excited for the Big Game?! In the Love Bakes Good Cakes house, we’ve already planned out our game day menu for the Big Game – and we’re ready to watch some football! Brian and I came back from Vegas a few weekends ago and didn’t really have much time to get ready for a football watching party for the playoffs – we literally only had a few hours to get ready! 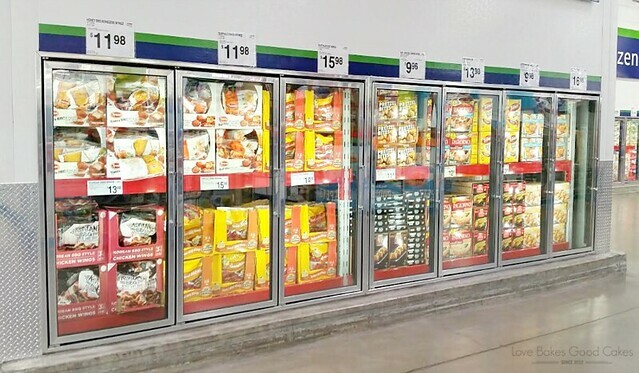 We decided to make a quick stop at Sam’s Club to see what we could find. We stopped at Sam’s Club and while shopping, we stopped at a few of the demos, because what is a trip to Sam’s Club without the food demos?! We found a demo for Tyson® Boneless Wyngz* and had the chance to see our local NFL mascot! It totally psyched us up for the game and we knew exactly what we needed to pick up – Tyson® Boneless Wyngz* (*contains no wing meat)! 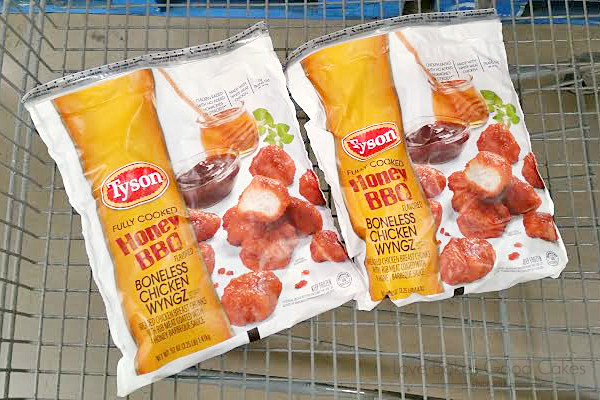 The Tyson® Boneless Wyngz* were such a hit when we purchased a few bags to serve during the playoffs – and since they were so popular with our guests, we had to go back to Sam’s Club to grab a few more bags for this weekend’s big game! The season is nearing a close and the biggest game of all is approaching. 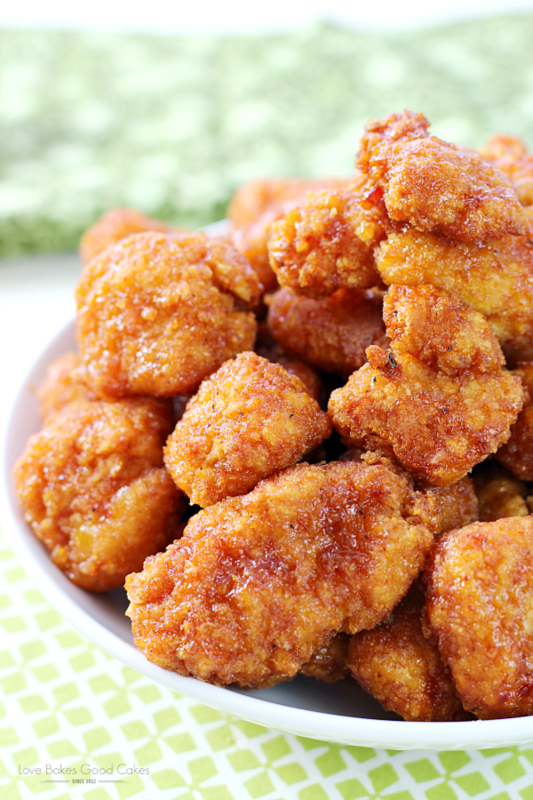 Serve up Tyson® Boneless Wyngz* to match the intensity of the game! 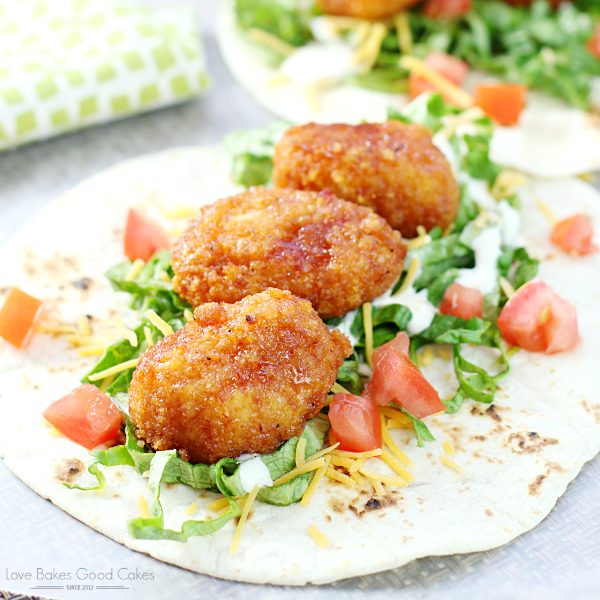 We served one bag as it was (baked, of course) – and the other bag, we made into these yummy and easy Ranch Honey BBQ Chicken Tacos! 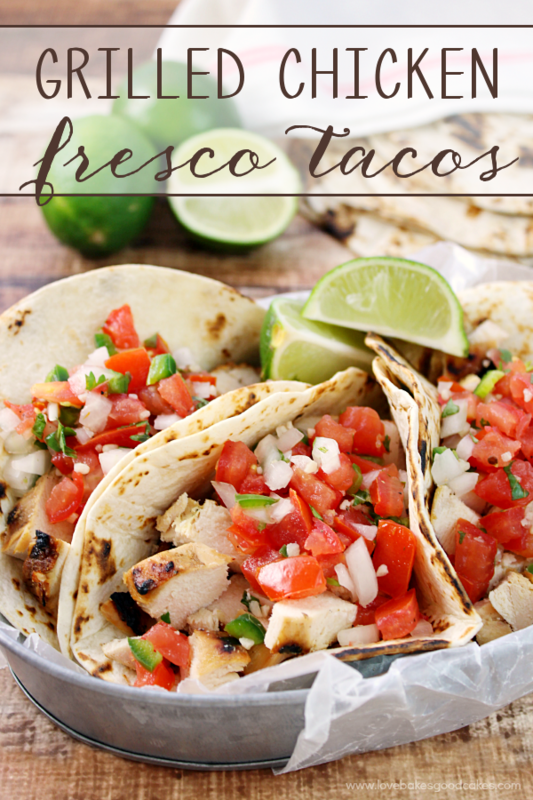 It was easy for people to add their own favorite toppings to their tacos! The Honey BBQ Flavor is new this year and it just might be a favorite! I’m already thinking about how much time it will save me throughout the year at dinnertime! Tyson® Boneless Wyngz* are all white meat chicken (contains no wing meat) and a great source of protein. Also, there are 0g of trans fat per serving! Bake Tyson® Boneless Wyngz* according to package directions. 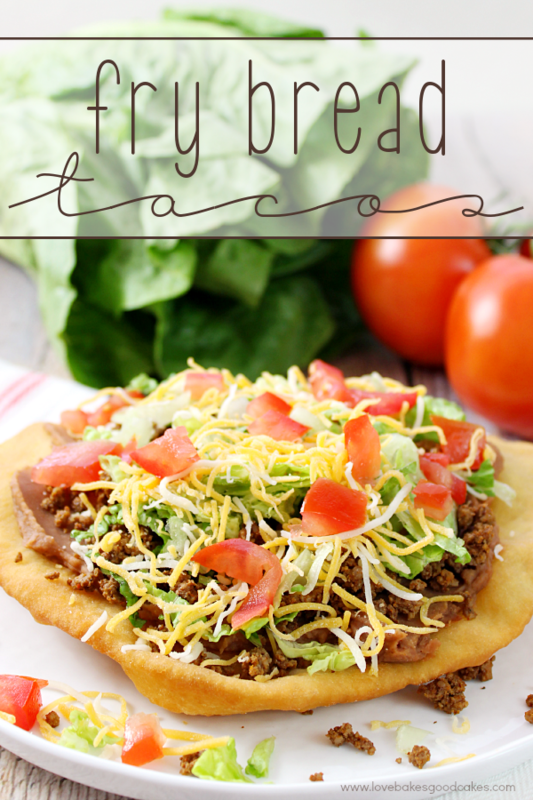 Top warmed tortillas with lettuce, cheese, ranch dressing, Tyson® Boneless Wyngz*, and tomatoes - or other desired taco toppings. 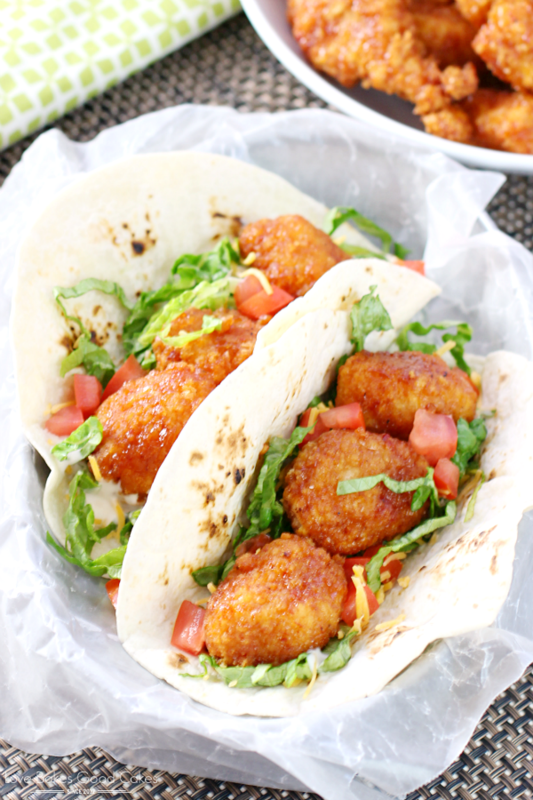 Before you head to Sam’s Club to grab your own bags of Tyson® Boneless Wyngz*, be sure to download your $5 iBotta reward!